Figure 15.6. 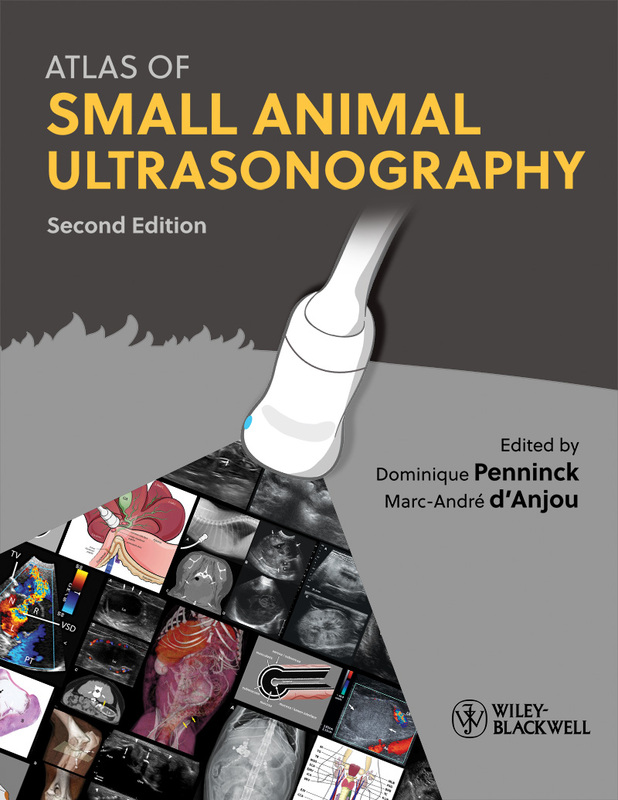 Echogenic peritoneal effusions in dogs and cats. A: Longitudinal image of a dog with abdominal distension and pain. 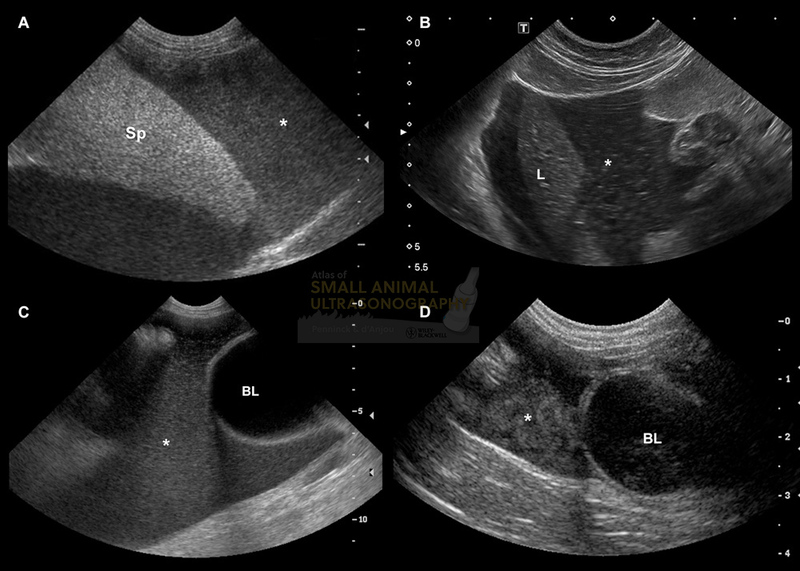 A large volume of particulate, echogenic, peritoneal effusion (*) is seen around the spleen (Sp). These features are suggestive of a cellular effusion, such as exudate or hemorrhage. A diagnosis of septic peritonitis was made based on fluid aspiration. B: In this cat with pancreatic adenocarcinoma and carcinomatosis, there is marked peritoneal effusion (*) that presents hyperechoic speckles. 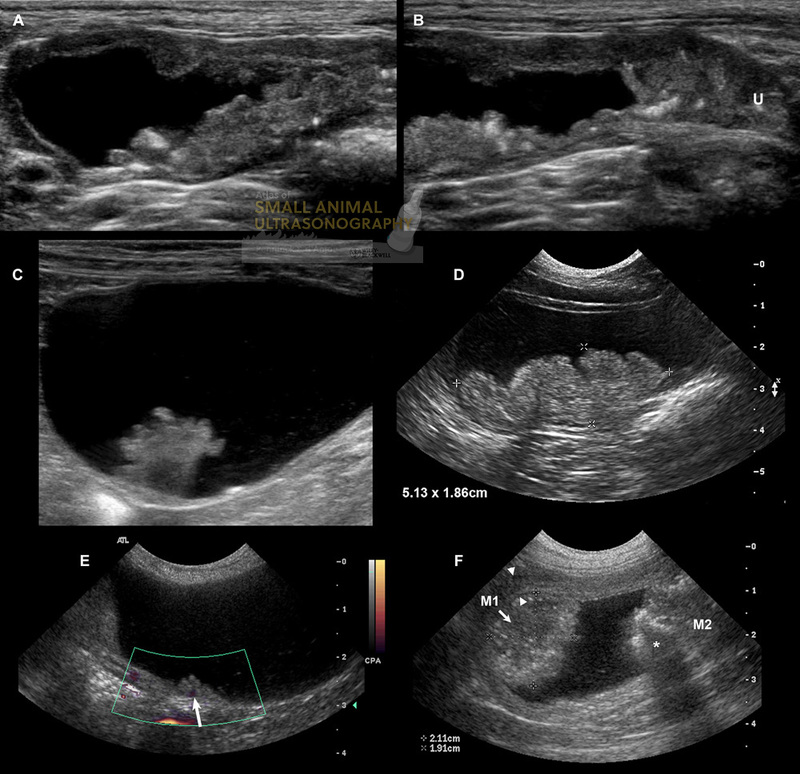 A hypoechoic nodule (arrow) is detected in the omentum C: Chylous effusion (*) is typically of moderate to high echogenicity as in this dog. BL, bladder. D: Longitudinal image of the caudal abdomen of a cat diagnosed with multifocal biliary carcinomas. Floating, echogenic structures (*), not attached to any structure and consistent with blood clots, were identified cranial to the bladder (BL).